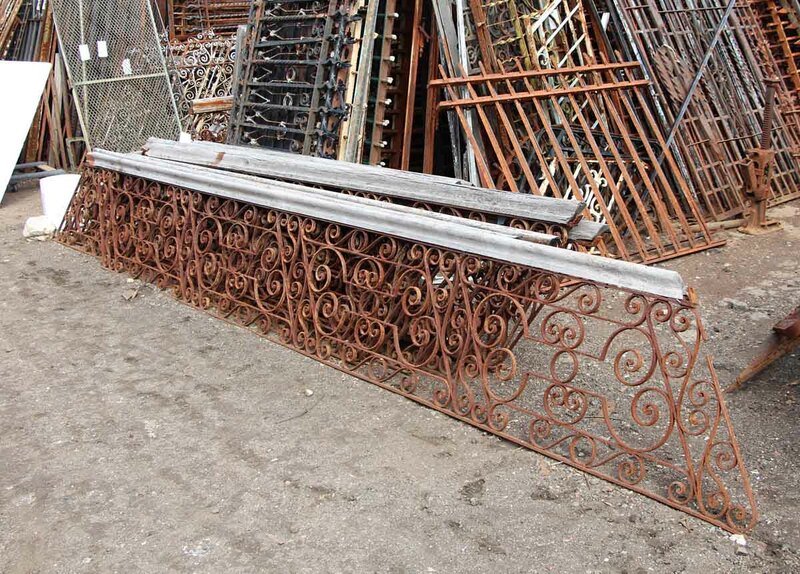 Antique iron stair railing from The Sterling Hotel. 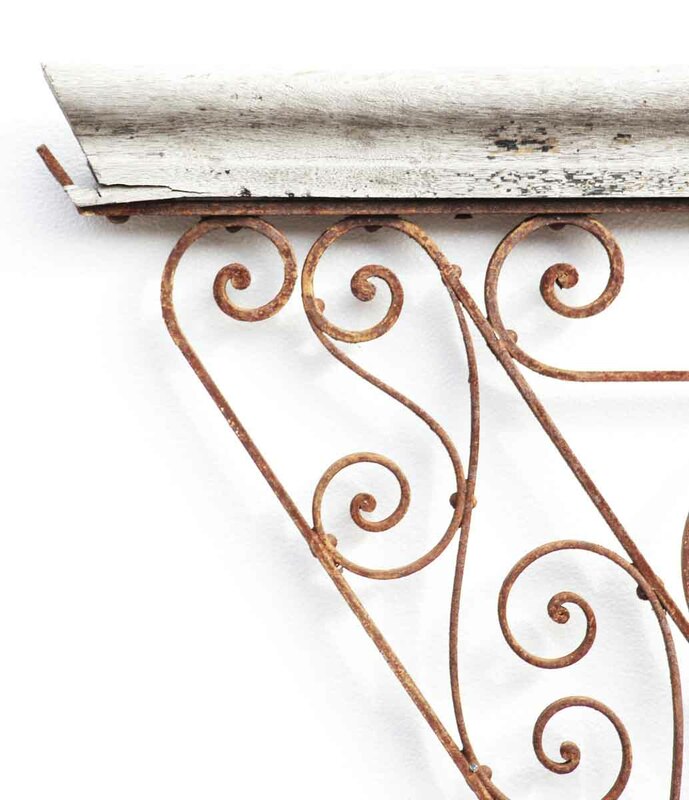 This iron was hand smithed and riveted in the late 1800s for the Sterling Hotel in Wilkes-Barre, Pa. This fence is sold ‘as is’, with the crackled paint and rust still on it. The condition of the iron itself is excellent, as can be seen by the sand blasted samples. The hotel was frequented by prosperous merchants of the time. It was even visited in the early 1900s by Eleanor Roosevelt. The lobby was stunning, and this railing graced the grand stair case of the upper floors. The wooden rail is weathered, but still intact. 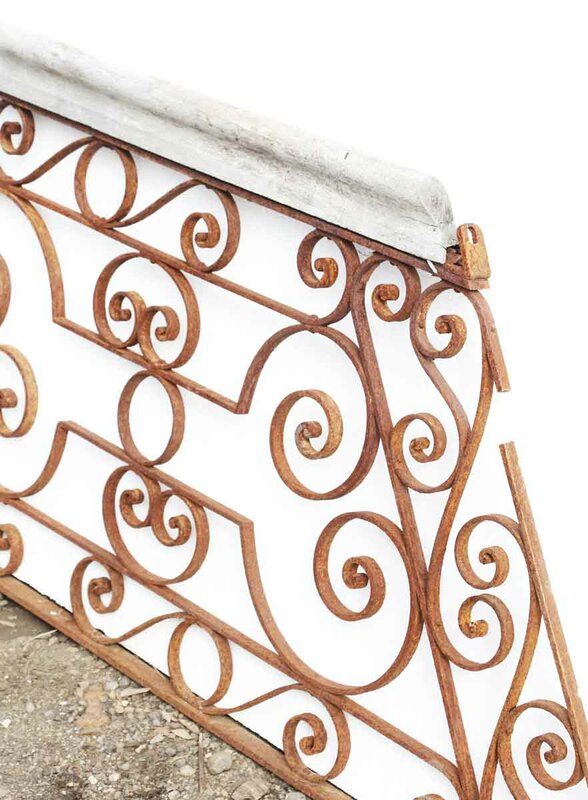 All stair railing pieces are 22.5 in. High and 25 in. H with a weathered oak railing. The lengths are as follows: 6 pc. 130 in. L, 1 pc. 132 in. L, 1 pc. 136 in. L, 1 pc. 164 in. L, 1 pc. 96 in. L, 2 pc. 92 in. L, 1 pc. 78 in. L, 2 pc. 42 in. L. Balcony pieces are 33.5 in. H and 36 in. H with wood rail. & 42 in. L, 30 in. L and 30 in. L. There is a total of 143 running feet.